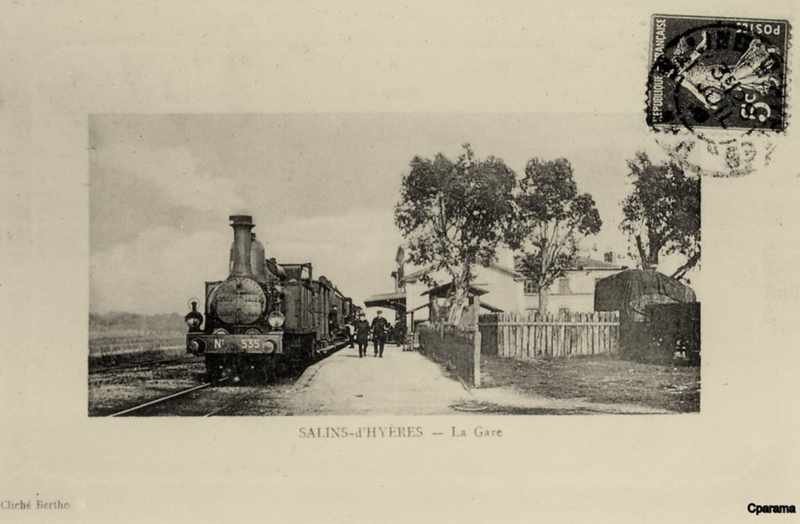 Alternatively, goods and passengers could use the PLM Branch Line which served Hyères and Les Salins-d’Hyères. This post focuses on that line which is still in use today. On the map below, the tramway is shown in green and the PLM route in pink. 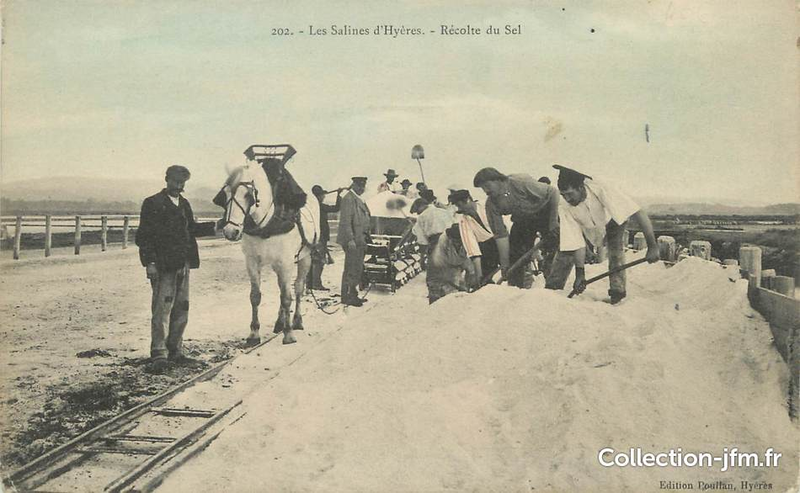 Trains from Toulon to Les Salins-d’Hyères followed the PLM main-line travelling East from Toulon Station. 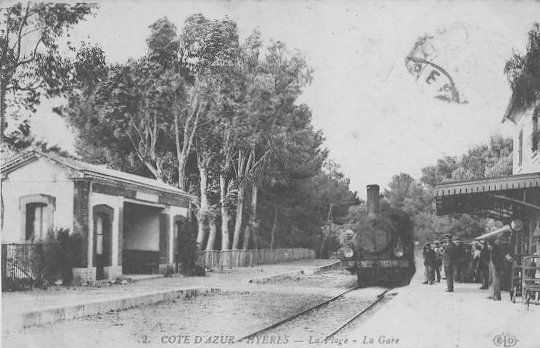 The line travelled East of La Garde as it turned north and then crossed the line of the Toulon-Hyères tramway. 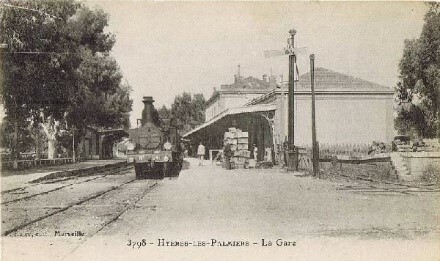 The branch left the main-line just north of La Gare de la Pauline. 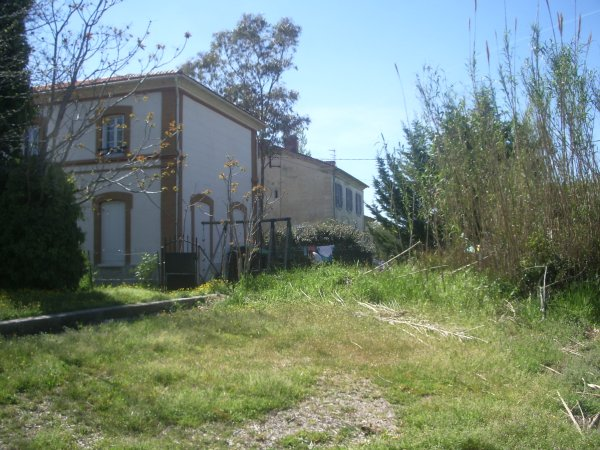 Its trajectory was then generally in a South-easterly direction, running south of Hyères. 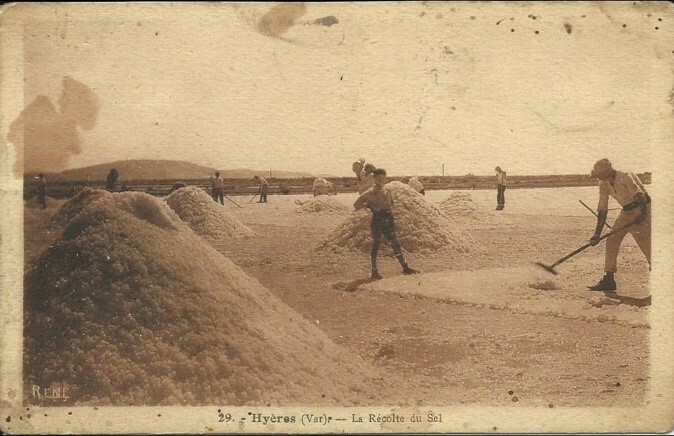 It met the coast at La Hippodrome de la Plage where it turned to the north-east and followed the coastline into Les Salins-d’Hyères. 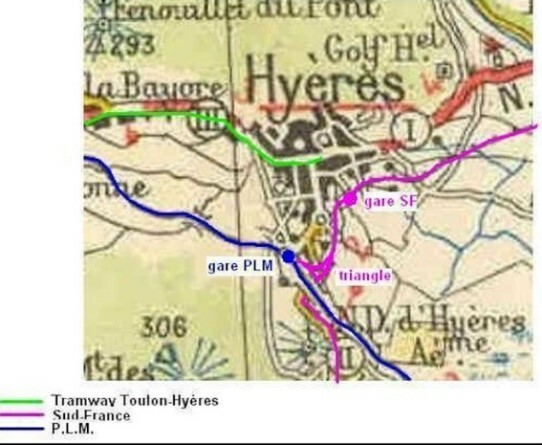 The adjacent map shows the three different lines which served Hyères, and the relative positions of their stations in relation to the town. 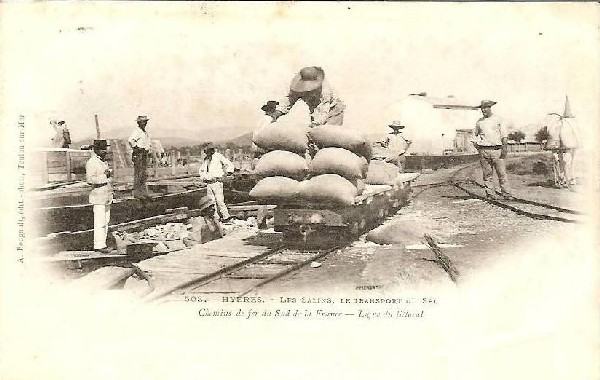 The picture below is of the platforms at Toulon station. 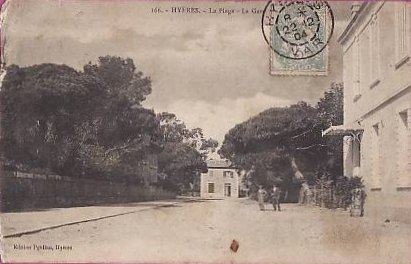 The pictures which follow show the PLM station at Hyères. 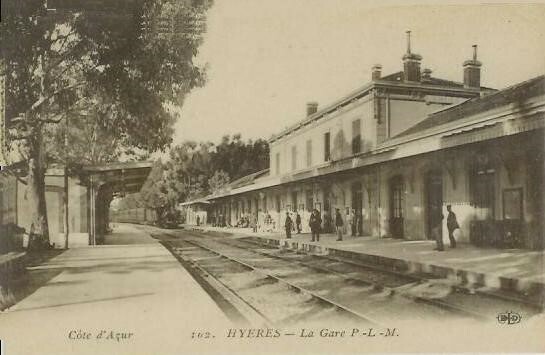 Hyères PLM Station is of a very similar style to other secondary stations on the PLM network. 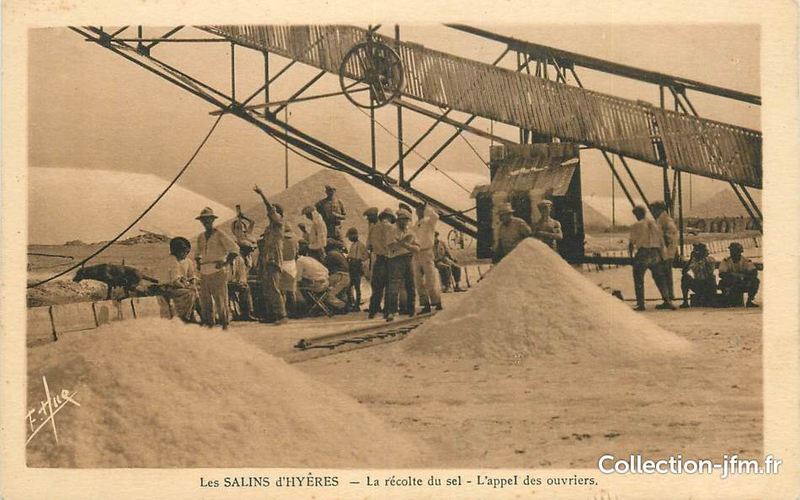 It now formed the terminus of the branch-line as rails from Hyères to Les Salins d’Hyères have been lifted. 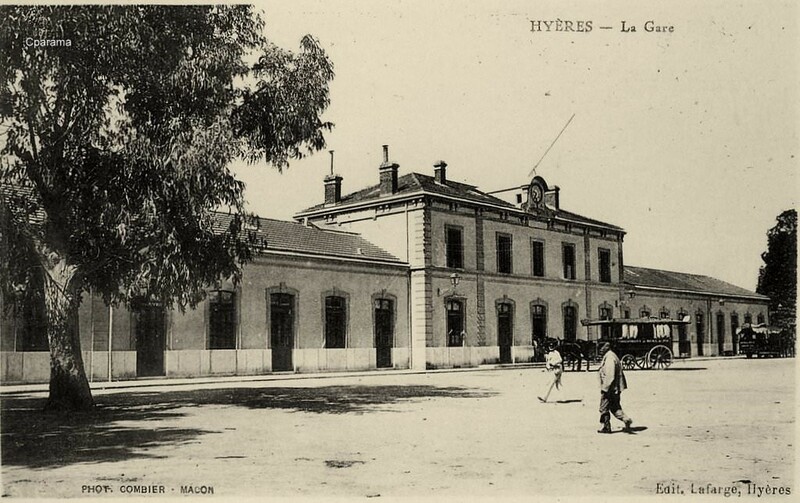 Hyères station was commissioned on 6th December 1875 when the PLM opened the first section of the line. 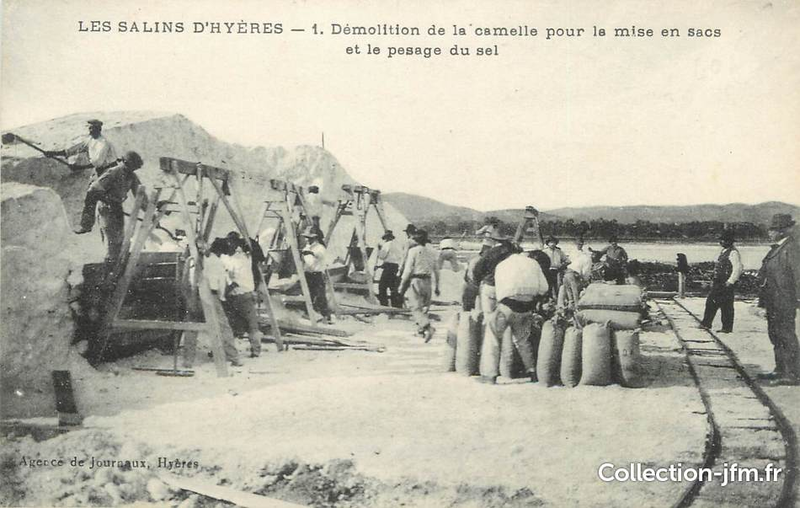 It became a through station on 10th July 1876 when the extension to Les Salins d’Hyères was completed. 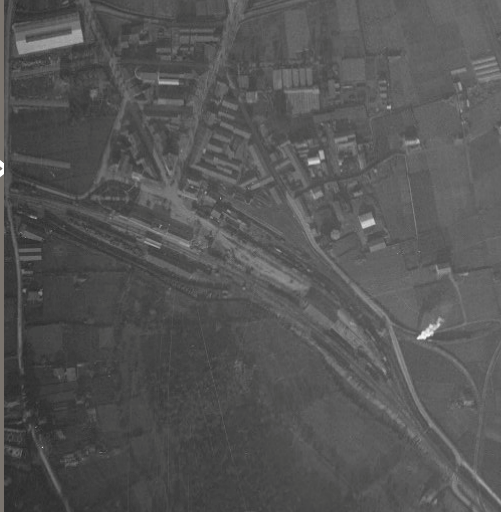 The overhead image below was taken in the 1930s. 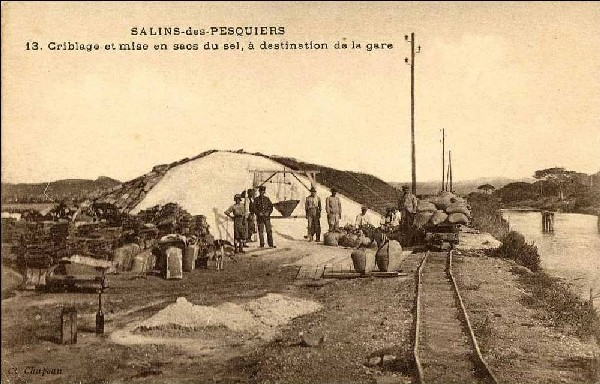 It shows the PLM station and to the bottom right, the triangle which facilitated freight transfer to the Chemin de Fer du Sud. Notice how little development there has been around the station site. 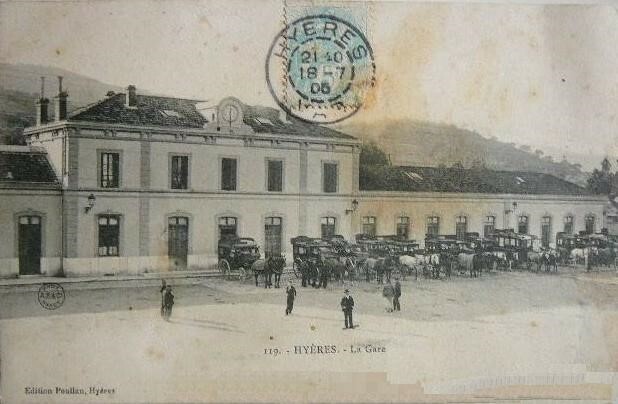 The picture below shows the early means of transport from the station into Hyères – horse-drawn carriages. 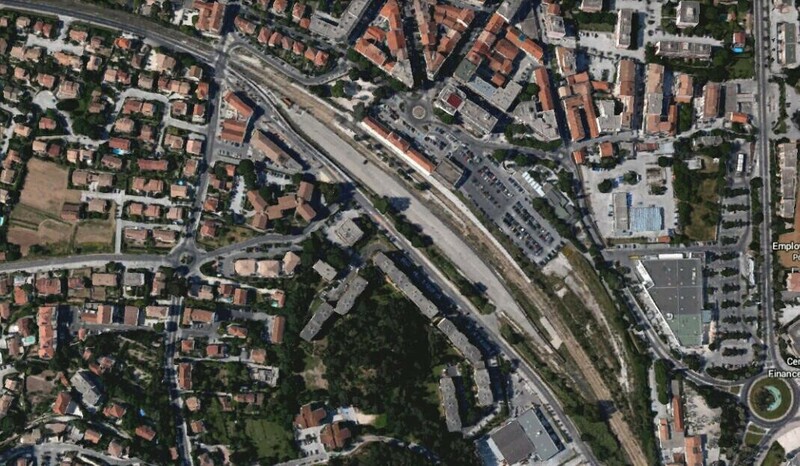 The next image is an up-to-date satellite image of the station and its environs. Clearly, in the 21st Century, the area is considerably more developed than it was in the 1930s and car parks have replaced goods sidings. 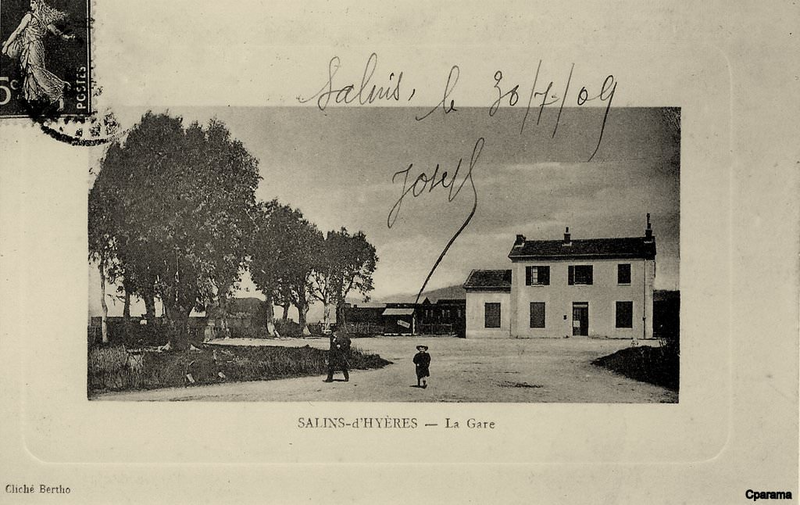 The pictures which follow show the station in the 21st Century. Within a few hundred yards of the station the line is truncated at buffer stops. 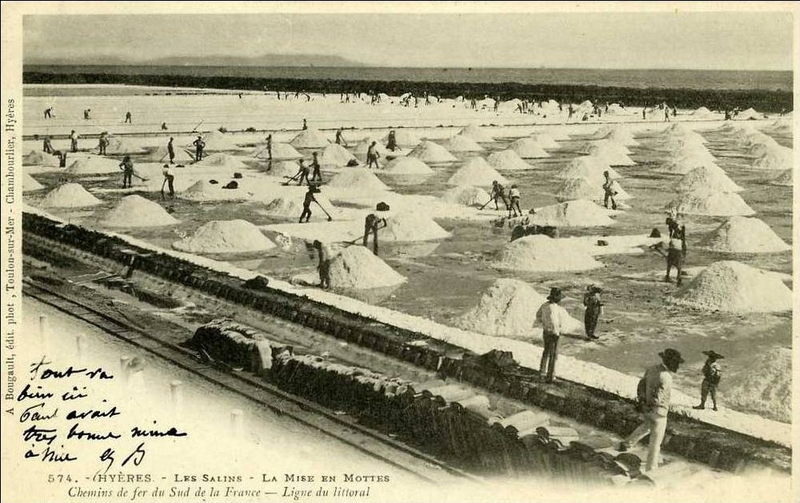 What is perhaps surprising is that the route of the line through to Les Salins d’Hyères can still easily be picked out on satellite images. 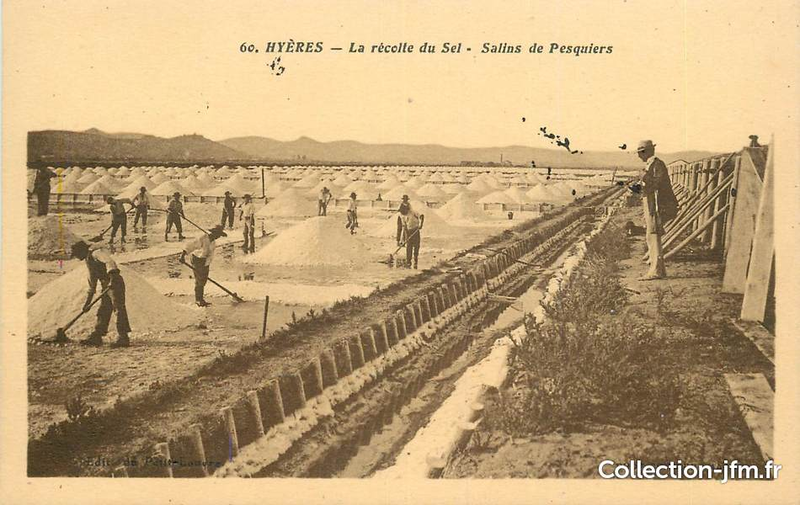 In the image above, Les Salins d’Hyères is in the top right and Hyères Station can be seen in the top left. The tight radius as the line approaches the coast is clearly visible centre-bottom of the image below the airport. 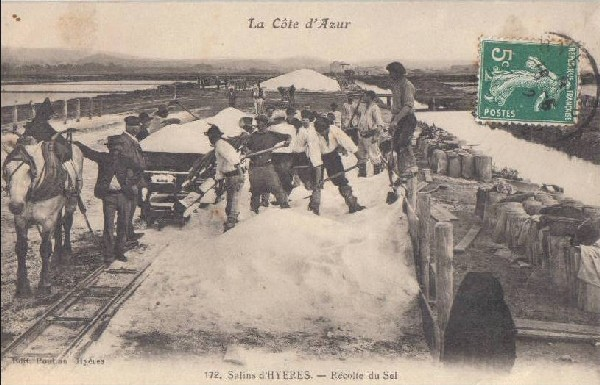 Marc Andre Dubout has provided some pictures to supplement those available as historic postcards which show the last few kilometres of the branch as they approach the coast and travel North-east along it. 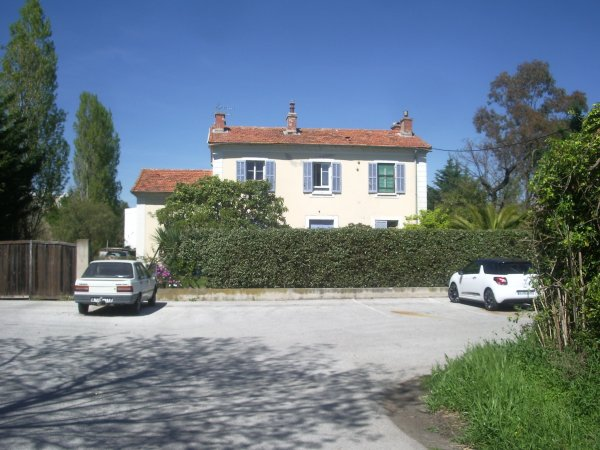 The first few pictures are of the Station Hyeres La Plage. 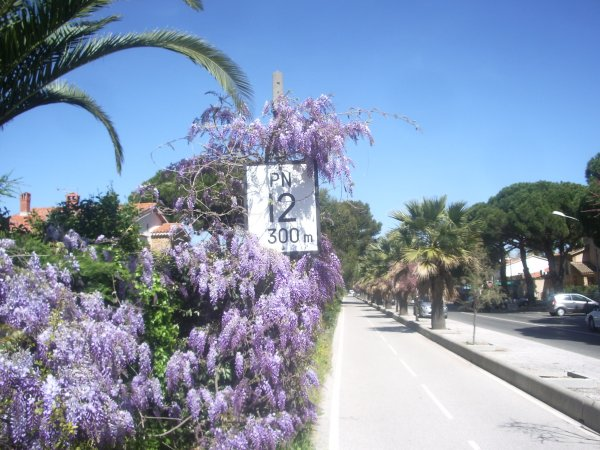 These two pictures show the station after closure and the cycle track which replaced the railway alongside the coast road. 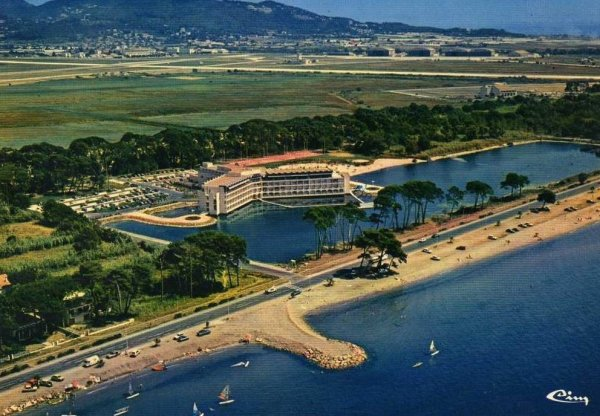 The following picture shows a hotel and the airport. The line of the railway is still visible alongside the coast road. 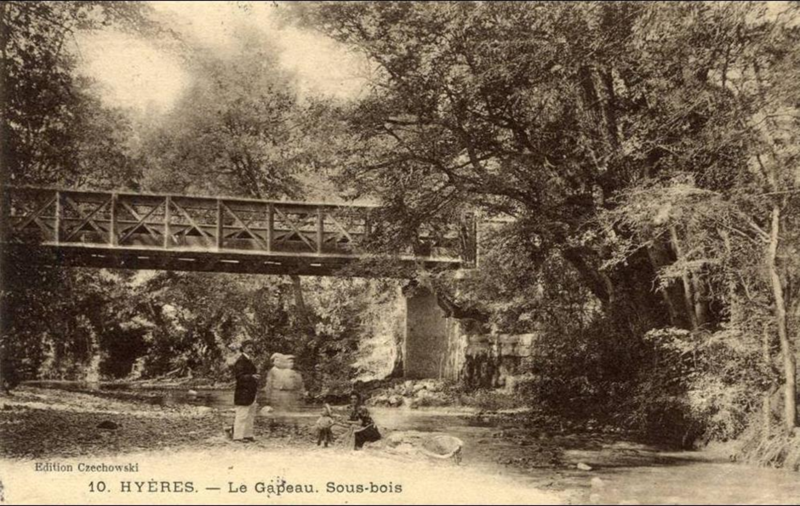 Just before reaching Les Salins d’Hyeres the railway crossed the mouth of Le Gapeau River. 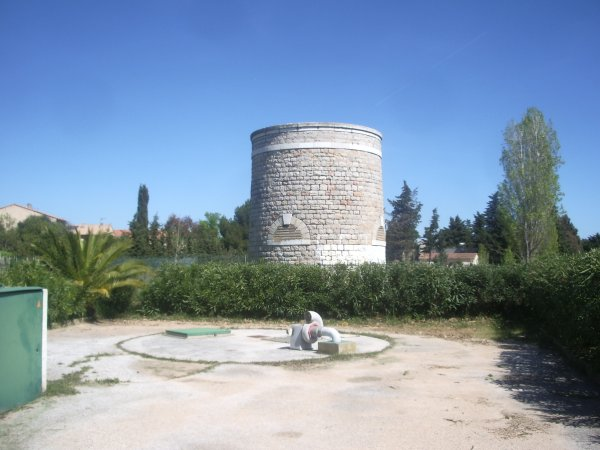 We have a few photos of the station and its environs, including the remains of the water tower. 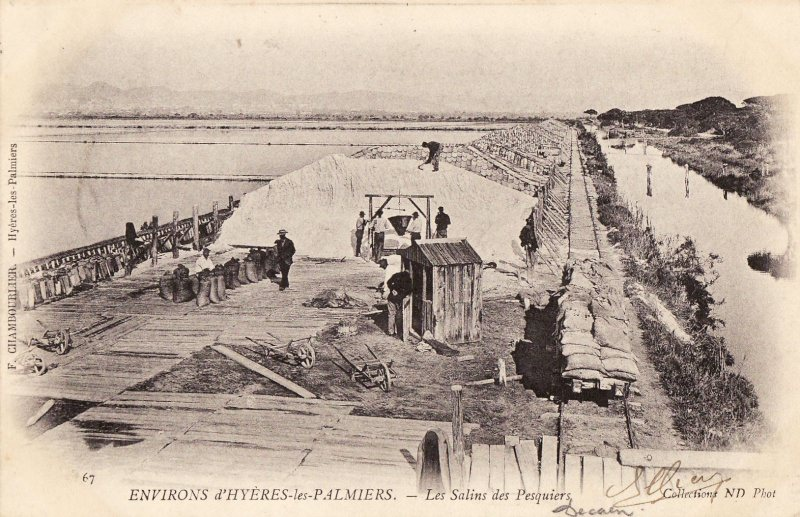 The next couple of photos are contemporary, the first looking towards Hyeres and showing the remaining platform edge. 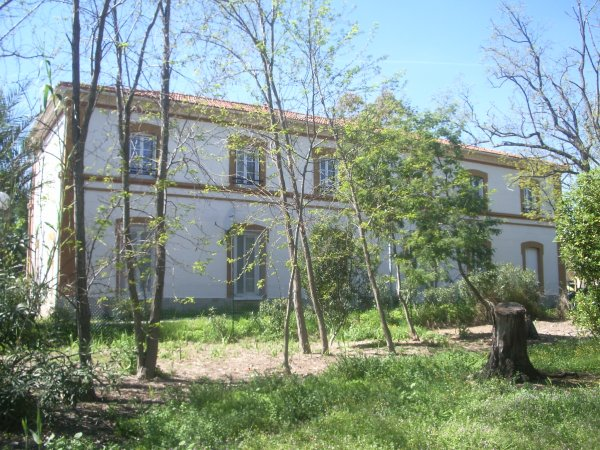 And the second is of what is assumed to be a railway workers accommodation block and which seems to be contemporary to the station itself. The following pictures are of the work undertaken to extract salt from the salt marshes near the village. At one time this was a highly labour intensive operation. 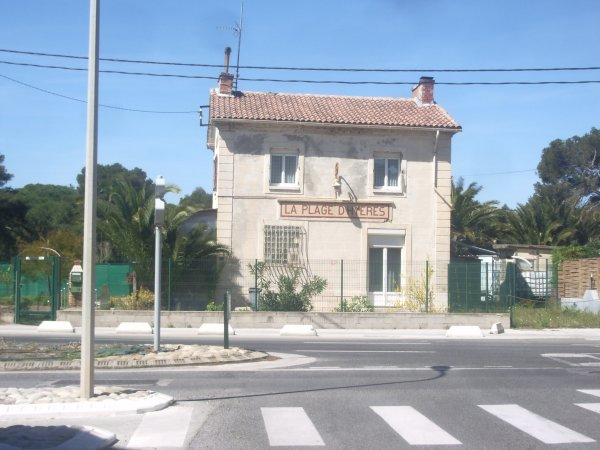 Roger Farnworth: Ligne du Littoral (Toulon to St. Raphael) – Part 3 – Trams in Toulon and Hyeres (Chemin de Fer de Provence 38): https://rogerfarnworth.wordpress.com/2017/12/23/ligne-du-littoral-toulon-to-st-raphael-part-3-trams-in-toulon-and-hyeres-chemin-de-fer-de-provence-38. 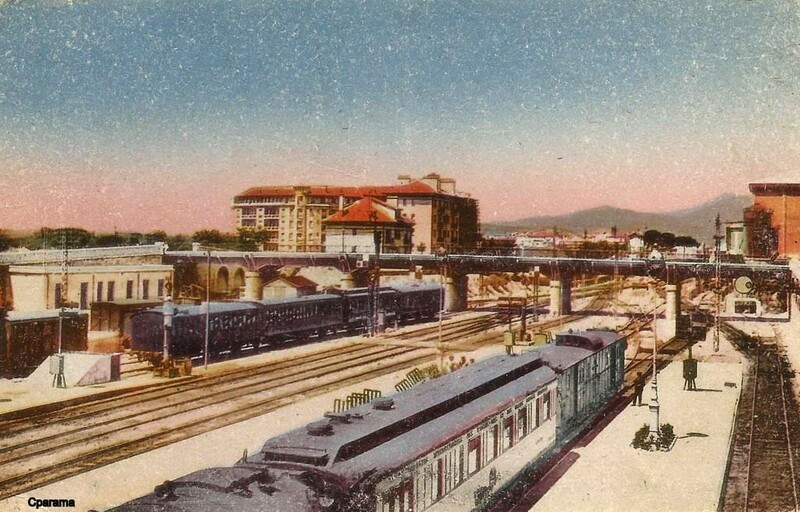 This entry was posted in Railways and Tramways Around Nice, Railways Blog on December 24, 2017 by rogerfarnworth.